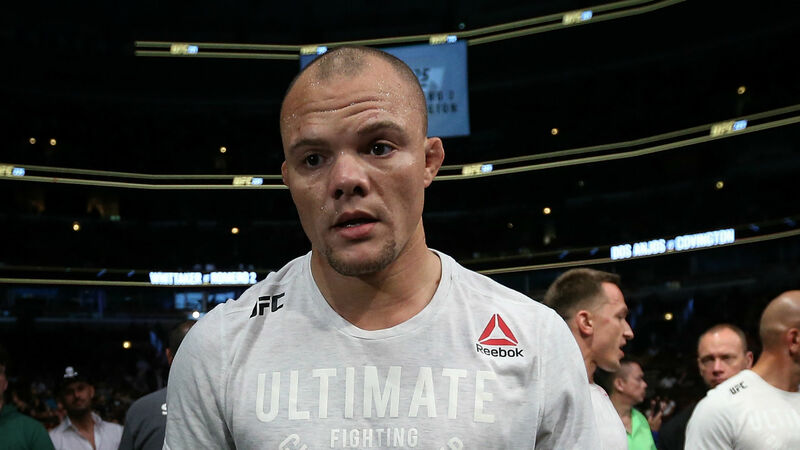 In the lead-up to last Saturday’s fight against Volkan Oezdemir at UFC Fight Night 138, Anthony Smith planted the seeds of wanting to face Jon Jones for the light heavyweight championship if Jones goes on to defeat Alexander Gustafsson at UFC 232. Smith completed phase one of the process when he submitted Oezdemir in the third round at UFC Fight Night 138. And while he waits to see if Jones can make his comeback a successful one at the end of the year, “Lionheart” has gone on the offensive. Although Smith recognizes Jones as one of the pound for pound best fighters in the world, the 30-year-old questions the former champion’s integrity after two failed drug tests cost him part of his fighting career. Those transgressions aside, Jones remains one of the biggest draws in the UFC. Although Smith finds value in what Jones brings to the table as an attraction, he believes that his actions have damaged the sport that he competes in. The win over Oezdemir ran Smith’s record as a light heavyweight to 3-0, which started with back-to-back knockout wins of former champions Rashad Evans and Mauricio “Shogun” Rua. With the division being relatively thin and Smith knocking off the #2 ranked fighter, the only thing left is a title shot. Jones vs. Gustafsson is rematch of their classic bout at UFC 165, which Jones won by a close unanimous decision. When pressed to pick a winner of the UFC 232 main event, Smith believes that “Bones” will repeat what he accomplished five years ago. But Smith doesn’t just want Jones to win, he needs him to win.